You have been waiting for this one! Steps away from Willow Creek Park and walking distance to St. Thomas More Church. 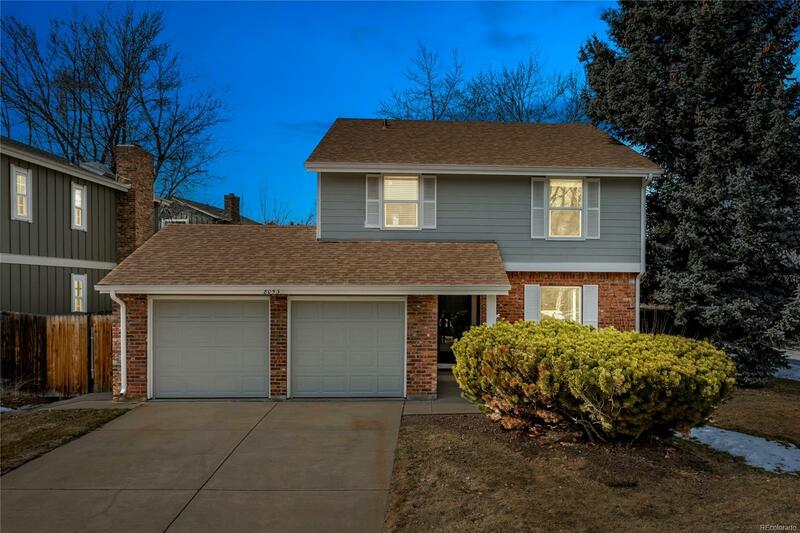 Close to shopping and Park Meadows Shopping Center. Corner lot with large fenced backyard. Move-in ready. Updated kitchen, quartz countertops and newer appliances. Bathrooms have been updated. Master suite has 3/4 bath with double sinks, granite countertops. Four bedrooms on upper level. Enlarged 2 car garage. Finished basement designed as a mother-in-law suite with kitchenette, sitting area, bedroom, bathroom and egress window. New windows, newer roof, radon system, baseboards, central A/C and much more! Award winning Willow Creek Elementary School!